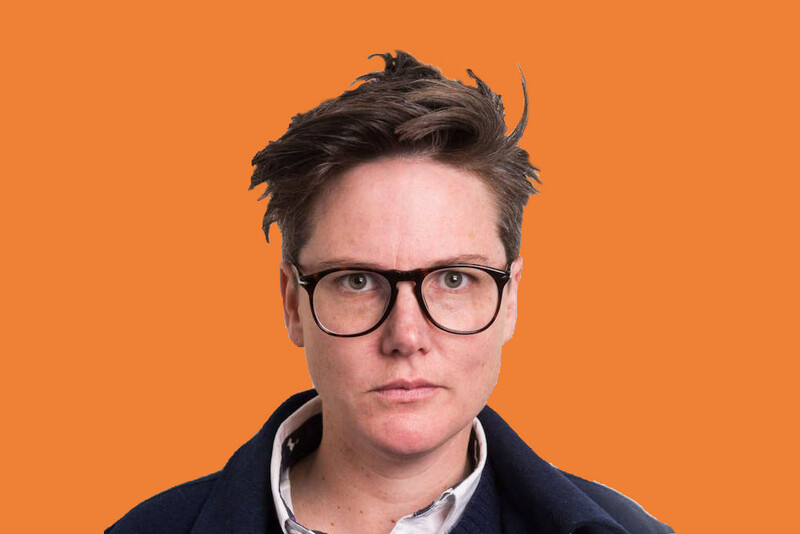 Hannah Gadsby's Last Show Was An "Appeal To Our Humanity"
"I've never seen a comedian capable of getting a message across with such honesty." This post discusses physical and sexual violence. 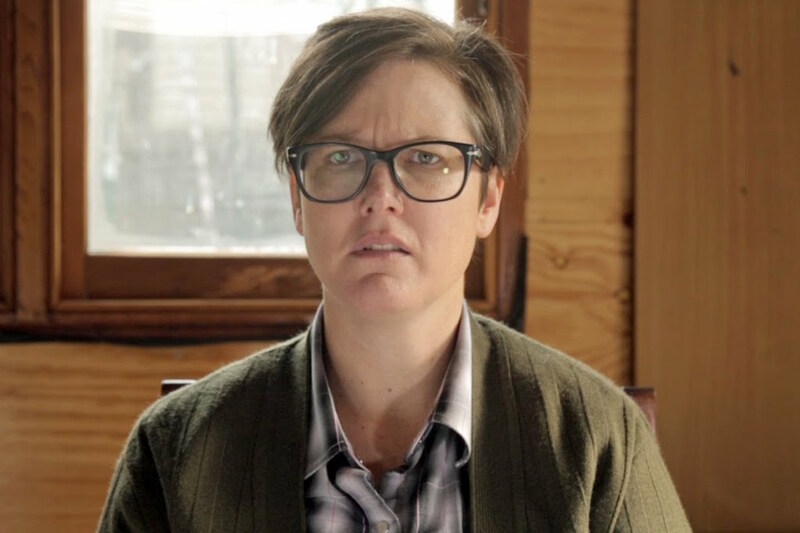 Hannah Gadsby is tired. She’s grown weary of making a career out of insulting herself because, as she said on stage this weekend, people have been doing that for her since she was young. Now, she’s decided to hang up the suit jacket and quit stand-up for good. A self-described “tension diffuser”, Gadsby has worked in the comedy industry for just over a decade. Most recently, Hannah was known for playing a character of the same name in Josh Thomas’ Please Like Me. Gadsby had a big say in how her character was portrayed in the show and created a widely acclaimed and honest portrayal of mental illness. Last week, she won the Barry Award, the highest accolade given by the Melbourne International Comedy Festival for her 2017 show, Nanette. Despite this being her last-ever show, it had no shortage of the tensions she’d spent her entire career unpacking. I went into the encore night of Nanette knowing it was going to be sad. My friends had said it; the reviews had confirmed it. Her comedy was witty, but caught me off guard almost immediately. Jokes about the limited employment opportunities of an arts history degree took a sudden leap into a greater discussion on romanticising the mental illness of Vincent van Gogh. Topics such as sexual violence, mental illness and the treatment of LGBT youth were front and centre for her final set. A trail of clever observations and side remarks were bluntly led to the halt of harsh reality. Gadsby’s trademark self-deprecating style was fractured and replaced by raw storytelling that rightfully made the audience uncomfortable. She told us of the time she was nearly beaten up by a man at a bus stop after being mistaken for a man hitting on his girlfriend. The light-hearted delivery allowed for some scattered laughter from the audience. She followed this up by saying she was left lying on the street in agony after the man realised she was a lesbian and came back to see it through. There was no laughter this time. There was no final punchline that left us exiting that theatre with a smile. Gadsby drew from her own experience to discuss physical and sexual assault and her delivery allowed no room for comedic escape. Why should it? Her solemn delivery of this moment in her life is just another story contributing the larger issue of violence against women. On average, one woman is killed each week in Australia from domestic violence. Large numbers of LGBTIQ Australians have experienced physical abuse. Some things are just not meant to be funny. Another earnest moment came when Gadsby spoke about the bullying of LGBTIQ youth — a topic she’s been extremely vocal about in the past. She recited the stale mantra of “thinking of the children”, a common argument placed at the forefront of the anti-marriage equality argument. “Children aren’t meant to be shamed,” she said. If you shame the children, Gadsby argued, they can never step away from the self-loathing they are conditioned to feel from a young age. Her words resonated with the audience, with many strongly empathising or relating to the anguish she expressed as a young person trapped in the closet. She — like so many LGBTIQ people in Australia — was tired of being neglected and trained to feel hatred towards herself. It was just 20 years ago that her home state Tasmania decriminalised homosexuality; a culture of resentment lingers. This is why she’s hesitant about moving back. Each of these jarring moments was followed by an explicit moral: be a better person. They didn’t need the concision of carefully crafted stories spoken like the soundbytes locked and loaded by politicians on 7.30. They were glimpses into a messy life tormented with hardship and riddled with problems that could be improved upon by those who aim to represent us. It was refreshing to see the fear that I, and so many others, hold expressed in such a public forum. Gadsby’s show was full of a shameless courage known by those who have nothing else to lose. The fact that Gadsby had to put on an additional show at the end of her MICF run (in a much larger venue) is testament to the legacy she will leave behind, and the fanbase that will deeply miss her departure from comedy. From a combination of her live performances and television, I remained convinced that no comedian has been capable of getting a message across with such honesty. “Children aren’t meant to be shamed” is a message so simple yet so lacking in the contemporary Australian discourse. It’s one that can vastly improve the quality of life to so many young LGBTIQ Australians — myself included. Gadsby’s swansong was, to quote the final words of Nanette, an “appeal to [our] humanity”. There was no final punchline that left us exiting that theatre with a smile. No one in that audience came out remembering the jokes, but I wouldn’t have wanted it any other way. The lights went up, and we left carrying the tension Hannah Gadsby chose not to diffuse any longer. Caleb Triscari is a writer and former editor of Farrago, the student publication of the University of Melbourne. He tweets at @calebjtriscari.